Unlimited emergency voice & text using the best signal from either Rogers, Telus, Bell, Tbaytel, MTS or Sasktel – depending on where you are at any given time. Included in your purchase will be a Live Life Alarms roaming sim card with unlimited emergency voice and text for the first year of use. Our sim card will pick the best mobile tower in your area whether it’s Rogers, Bell, Telus, Tbaytel, MTS or Sasktel. Then it’s just $45 each year from Year 2. Towards the end of Year 1 you’ll be reminded to add a $45 top up to continue to use the service for the following year. Your mobile alarm will even automatically work when you visit the USA – at no extra cost. If you would like to enjoy the best coverage in Canada and never have to worry about running out of credit when you need it the most then you should select this plan. We’ve worked hard to tailor a custom plan with Canada’s six largest mobile operators that’s affordable and will never let you down. Never worry about running out of credit when you need it the most. No need to check websites to see how much credit is remaining on your alarm. You’ll have access to the best network signal no matter where you are in Canada. With this plan we can remotely update the software in your device as improvements become available. No need to even think about cost per minute or cost per text. We’ve got you covered. *Fair use policy applies. The Live Life mobile alarm is an emergency device and we expect it to be used as such. Before the end of Year 1 we’ll send you reminders to add another $45 for the coming year. What happens if my prepaid credit runs out? It won’t! We won’t let it! Your Mobile Alarm will always work. 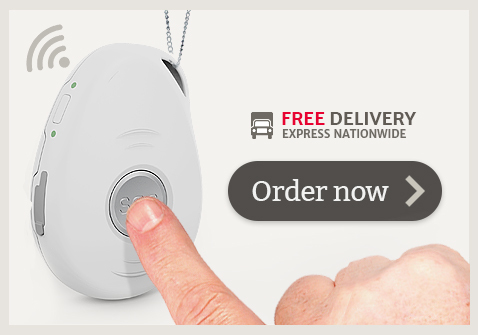 Incoming calls to your mobile alarm are free so family and friends can call you on your pendant whenever they like and for as long as they like. There is no extra 911 fee each month. The Coverage Maps are approximate only. Actual mobile alarm coverage depends on where you are and the device you are using. Customers should be aware that the mobile coverage maps displayed have been created using tools that predict the likely areas of coverage. In the event that the pendant cannot receive the GPS signal it will revert to showing it’s last known position. This is the location of the device when it was last able to fix it’s location by satellite. The device conserves power by only trying to get a GPS fix when the device is moved. Because of this we cannot guarantee that when the device is activated the location given is always the current position at the time of activation or that when someone tries to locate it via sms that it will know it’s current position. With that said, if the device does not know it’s current position it will report it’s last known position. This usually means the alarm has not moved significantly from it’s last known position so in most cases this is actually the true location of the Mobile Alarm.